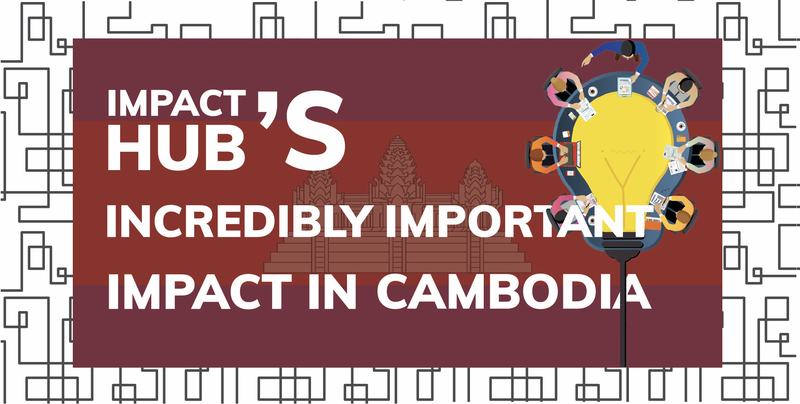 Geeks in Cambodia sat down with PR Manager Kosoma Kim, and Director of Venture Support Melanie Mossard from Impact Hub to learn more about the history of the space, and the plans for the future. Kosoma: We are a group of people passionate about supporting social enterprises and social businesses in Cambodia, and five years ago we found that there wasn’t much support for social enterprises, so we began running events, workshops, and creating a network to help, and it took off- people were really happy to be part of a community of like minded people who believe they can make the world a better place. We initially began in Siem Reap, but as our community grew, we decided to open an Impact Hub in Phnom Penh where we felt our mission would have a big impact and a large audience. How has the focus shifted over time? Melanie: Our initial focus was on building a community of like minded people who want to have a positive impact in Cambodia. We really believe that collaboration brings a bigger impact — we have a motto; “Impact cannot happen in isolation. It requires collective action”. That’s why connecting meaningful people together represents a big part of our work. 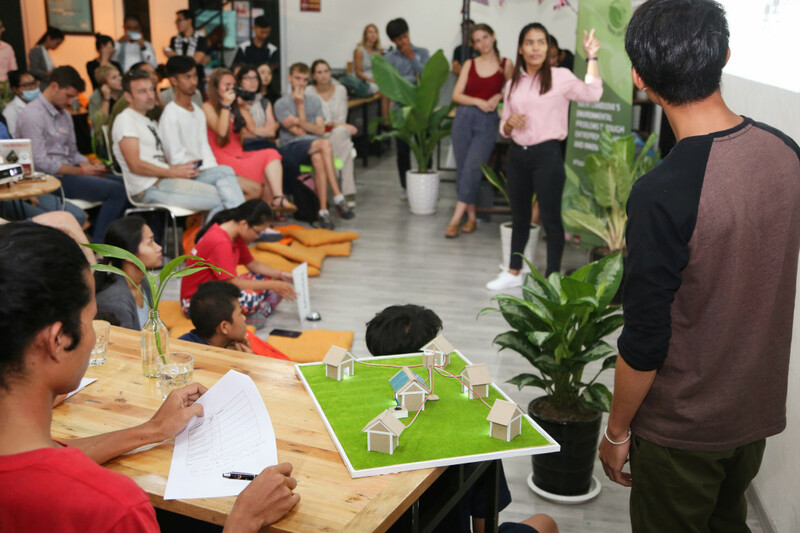 Initially, our incubator programmes saw the most interest from young Cambodians, usually students or recent graduates, who want to change their country through innovative entrepreneurship. As we have grown, these programmes have seen increasing most interest from young professionals with more expertise and understanding of the problems. They have been exposed to other cultures, have a bigger network, and a small amount of capital to try their ideas. K: In the past 2 and a half years the interest in what we do has skyrocketed, and our support mechanisms have also increased. We have built a pipeline of support for young innovators: From inspirational events, to investment readiness workshops, and our business model validation programme, we have developed a large range of support for our entrepreneurs. There are now some 5 university innovation labs that have opened in the past 9 months, a bigger entrepreneur network, and corporate interest from the likes of Smart Axiata, Toyota and Ezecom. We are not alone! M: Not all our ideas have been a success; sometimes we were too early with ideas like a training of trainers programme for professors that we tried two years ago. But we are confident that if we were to do it now, given how much we have grown and the ecosystem around us has too, it would be a big success! People now come to us to offer support for what we do, and this is has a great ripple effect on the impact we can have as a community. We feel our communities strength is growing, and it’s great to see so much interest now to support the ecosystem. What is next for Impact Hub? K: Cambodia was always left off the regional map — this is changing. We really can make a big impact here, and have the Cambodian startup voice heard — yes we are small, but we are a focused and supportive ecosystem! We have brought money into the ecosystem, and contacts with the corporate world which further ties what we are doing with the bigger business community here. This is a great time to be an entrepreneur in Cambodia, given the strong and growing interest from both the private and public sector, and the need for innovation in many sectors. M: For example, our latest programme SmartSpark sees Smart and the UNDP working together to support young people with ideas. We wish to continue helping bigger companies and organisations get closer to the innovation scene here. It allows the companies a better way to see and hear what people think about them, and what products and services they want. It also allows entrepreneurs to get a closer look at how big companies work, and get well needed partnerships to grow their impact. We want to make a better use of video and social media to make even more noise and reach more people. This will help us to increase our impact outside of Phnom Penh, and we are looking into digital ways to explore this. And we want to attract more international talent to come and see what is happening here in Cambodia. The recent visit to our office by [new national football coach] Keisuke Honda is a great example of what we want to happen more in the future.